Dr. Drolet is a board certified dermatologist, and a fellowship trained pediatric dermatologist. She has a special interest in birthmarks and infantile hemangiomas. Dr. Drolet has created a collaborative research team to improve management of infants with hemangiomas and vascular anomalies. Her team has led several national initiatives to better define high risk vascular lesions and determine the best and safest treatment plans for these conditions. 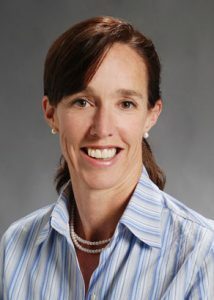 In 2004, she established the Birthmarks and Vascular Anomalies Center at CHW. This novel interdisciplinary team includes nine pediatric specialties which provide comprehensive care for patients with complex, multi-system vascular anomalies. This center has attained national recognition with greater than 50% of patients traveling from outside Southeastern Wisconsin. Dr. Drolet is a strong advocate for patients and families; she is committed to provide compassionate, timely, care for children with skin disease and to develop an innovative research center that will bring new knowledge and ultimately providea more effective care for her patients.